Schaeffer's Specialized Lubricants: synthetic motor oils, hydraulic fluids, and diesel fuel additives have achieved a world-class reputation for improving engine performance and fuel economy, but our diverse product line includes all types of industrial lubricants, industrial greases, and industrial oils as well as specialty items like our chain lubes and degreasers. 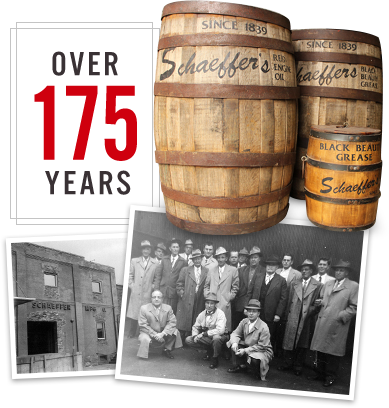 Founded in 1839, Schaeffer Manufacturing Co. has been a pioneer in the development of many modern lubrication concepts through the use of additives, frictional modifiers, and synthetics. Farmers everywhere trust Schaeffer’s to run their equipment longer with less downtime. Schaeffer’s Lubricants deliver fuel economy and durability benefits to help keep your truck running efficiently. Severe working conditions and environments are no match for our highly durable lubricants. Our food grade lubricants meet stringent industry regulations and main equipment durability. With Schaeffer’s Fuel Additives, you get consistent fuel quality all year long. Schaeffer’s Lubricants withstand severe and extreme conditions, resulting in longer equipment and fluid life. Avoid downtime and equipment failures with our highly durable lubricants. 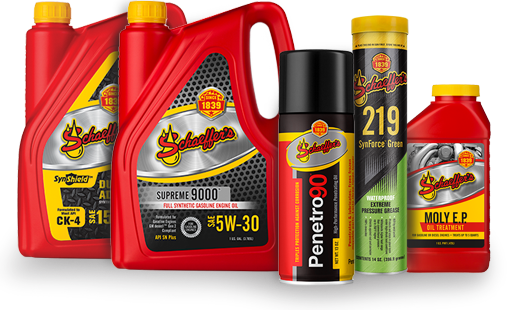 See why more and more customers are asking about Schaeffer’s Lubricants. Get more races from your engine with Schaeffer’s Racing Lubricants. Schaeffer’s Lubricants help you manage resources and reduce material costs.